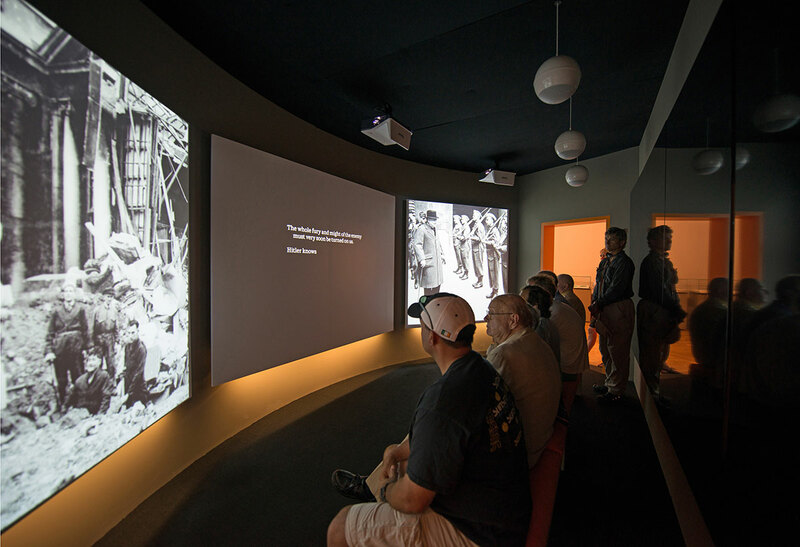 The ‘Churchill – Power of Words’ exhibit in the Morgan Library, New York required a unique approach to allowing their visitors to listen to some of Churchill’s key speeches. As Churchill wrote all his own speeches, and marked out the rhythm and beats to every line, we wanted to help the visitor visualise this prose and it’s construction while also listening to his performance. The result was a simple, buy mesmeric reveal of each individual word from his speeches. We then further immersed the visitor by using key images from the Imperial War Museum to add context and further illustrate the speech.